La Suite Club is the newest and no doubt the trendiest addition to the famous Puente Romano Beach Resort and Spa. La Suite offers a new tantalising and sophisticated nightlife experience. Through the doors of a typical Andalusian patio lies a remarkable space where a fusion of Romanesque ruins, elements of Art Deco and seventies-style furniture come together in perfect harmony. Its exclusive feel, with modern and avant-garde touches, awakens your senses and transports you back through time. La Suite has been designed by the famous French decorator Jean Pierre Martell, who has pored over every small detail. His vision and unconventional ideas have resulted in a 600 m2 multifunctional area, which is also perfect for presentations and product launches for luxury brands. Following the trends set by the elite clubs from around the world, La Suite will give you the most unforgettable nights, true to the style of the hottest night spots in Ibiza and NY, with performances from the most up and coming DJ's on the international scene, the best in house music and the latest technology, like the famous Funktion-One sound system. Open from midnight until 6 am every weekend, and from Tuesday to Saturday in summer and at Easter. 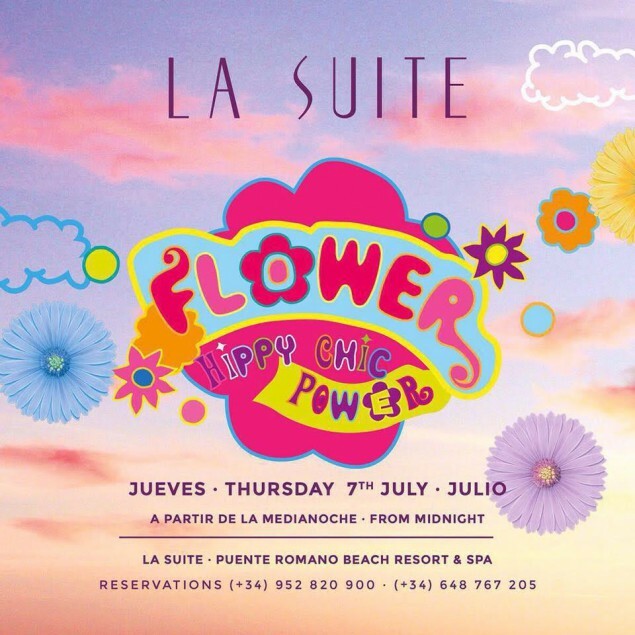 La Suite promises to become one of the most renowned clubs on the international circuit. Puente Romano Beach Resort & Spa, a member of The Leading Hotels of the World, is a luxury beachfront hotel located on the Golden Mile of the Costa del Sol, between Marbella and Puerto Banús and only 35 minutes by car from Malaga airport. An Andalusian-style resort, it has 259 spacious rooms spread over 27 luxury 3-storey villas with subtropical gardens and a waterfall which flows down to the Mediterranean Sea; all distributed over a total area of around 55,000 square metres. The resort boasts 9 restaurants, offering a range of food from all over the world. These include a 2 Michelin Star-restaurant and another which is 100% Gluten-free. You can also relax by enjoying the therapy and treatments at our Six Senses Spa, or use our fantastic sports facilities which include the Tennis Club and golf resort.